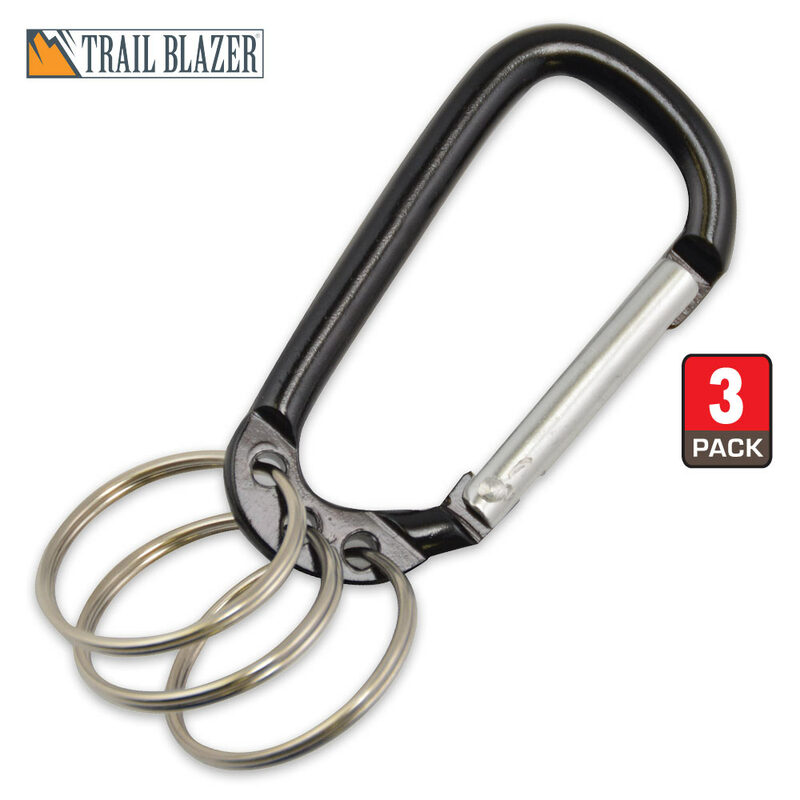 Trailblazer Multi-Ring Carabiner 3-Pack - Black | BUDK.com - Knives & Swords At The Lowest Prices! Trailblazer's Multi-Ring Carabiners are great tools to carry on your person, stash in your glove box or keep around the hose. And with this handy 3-pack, you can do all three, at a terrific value to boot! Each D-shaped, spring loaded carabiner includes three separate key rings - great for organizing multiple sets of keys. Attach keys to your home to one ring, office keys to another and gate, cabin, rental property or other keys to the third. The possibilities are practically limitless!